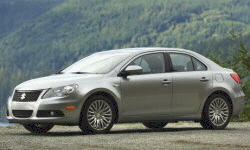 Suzuki Kizashi Pros and Cons | Page 1 of 1 | Why Not This Car? What drives people to buy (or not buy) a certain car? TrueDelta's members share Suzuki Kizashi pros and cons based on their real-world driving experiences. Life with my Kizashi GTS AWD, after 2,000 miles. I love this car from an overall view. I have found nothing about the car that makes me say, "now why the hell did they do that?" I think some people just need to drive one, and there is a very good chance they will purchase one. 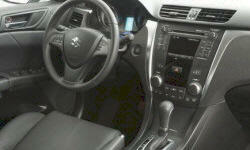 Soft touch materials, well placed controls.